Edinburgh Park Nursing Home is a new facility which provides exceptional, expert and affordable care for up to 30 older people living with dementia in purpose built accommodation in Lower Breck Road, Liverpool . The surroundings are warm and friendly – as are our nurses and carers. We have over 25 years’ experience of providing specialist nursing care for older people, which enables all our residents to lead a fulfilling life. Every individual is important to us and everyone is given the privacy, personal space and dignity that all of us expect and deserve. We get to know every resident and their families individually – their needs and preferences, what makes them happy, and how we can best maximise their quality of life. The social side of life is important at Edinburgh Park. 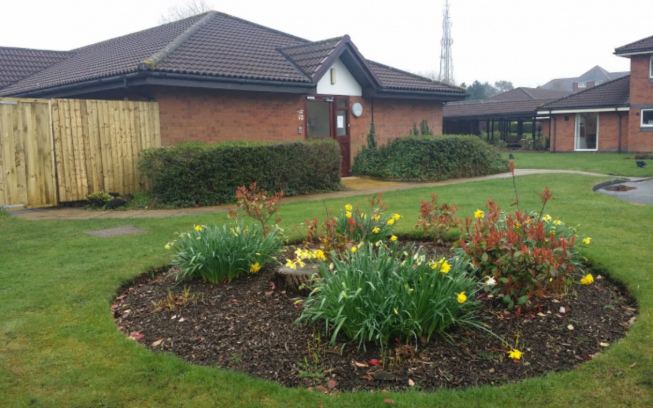 We have an Activities Organiser who provides regular sessions at the home involving residents of all ability levels in fun activities which are also carefully designed to help our residents to retain their skills. As with other aspects of life at Edinburgh Park all staff are pro-active in taking time out to discover what interests our residents. We have sing-along sessions, games and craft activities, chair-based exercise, story reading together and mindfulness and relaxation sessions and outings all contribute to a happy life for the older people in our care. We are proud that older people who come to us soon feel at home in the special family atmosphere which is an integral part of daily life at Edinburgh Park.